This fascination with turning YA novels into movies sounds like a great idea on paper. But that is usually where the good idea stops. It worked with Harry Potter because each novel was its own entity. It had a narrative with a beginning, middle, and end. It wasn’t always linked into the next book so explicitly. However, when we start moving into the Divergents, Maze Runners, and even Hunger Games, there becomes a distinct problem. There isn’t a clean ending. The story is about to continue. In books it works, in TV it works, put it on the big screen and you are just left hanging with an unsettled and unsatisfied feeling. Don’t get me wrong. I freaking love YA novels. I love the imagery and the action in them. I love the characters. My bookshelf is dominated by them. But sometimes you just have to say no to the film. The Maze Runner series was one that I only read after discovering James Dashner last year. The series is good. The writing is interesting and compelling, and the story is fascinating in all its intricacies. It seems like it would translate into a great epic film. Visually it does. 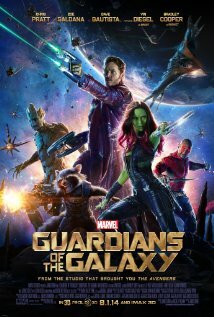 The movie is beautifully crafted. But the film medium just doesn’t do the story justice. 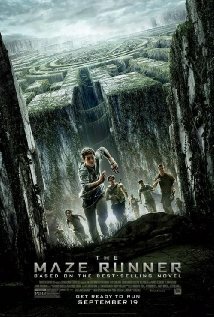 The Maze Runner is inspired by Lord of the Flies and the premise is interesting. Stick a bunch of teenage boys in a giant maze and see what they will do to survive. What happens if you run the experiment for a few years and then change everything on them within a week? Chaos. The great thing about the Maze Runner series is that it asks us the question: How far would you go to save the world? The problem with the film is that it asks the question: How far would your curiosity take you? Yes it is an action thriller of kinds but it didn’t have me on the edge of my seat, it didn’t make me interested in the characters like the book did, and it just simply wasn’t as compelling as the book. However, in saying all of that, if you haven’t read the book it is probably a great teen action thriller. It probably will grab you and make you wonder where it will end. And you probably won’t see that last twist coming. The setting is frighteningly fantastic and the graphics are gorgeously gritty, the young actors do a great job of making me love and hate them at the same time, and the dialogue is used well to move the story along without feeling too expository. And let’s be honest, I still can’t fault Dylan O’Brien or Will Poulter on any point, they will have me going back for more.